It is now possible to access and view image data in JPEG format. 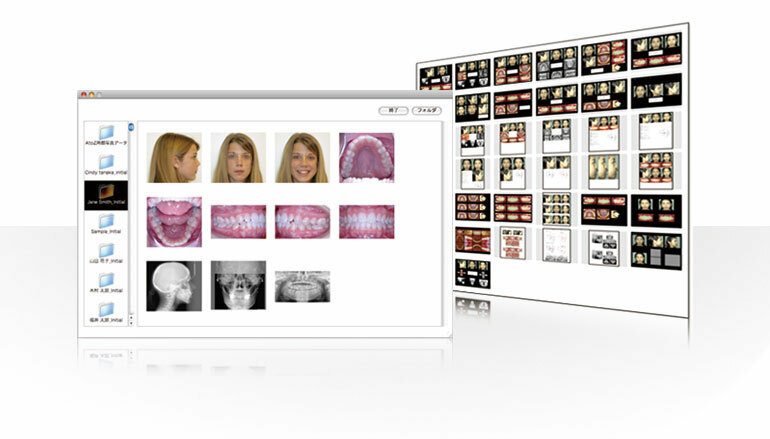 Patient's folder and image are displayed on the left and right side of the screen respectively. Double-click an image to zoom in. • Choose a list of images. Click the "Folder" button in the top right corner and choose a folder you want to open. • Folder name is displayed in the left window. JPEG images inside a folder will be listed as you click a chosen folder. • Double-click an image you want to zoom in, it will be shown in full screen. If you point “JPEG A folder”, program will display all sub folders ( JPEG folder 1 .... 5 ). You can move or add the JPEG data files at anytime. All data included in a folder will be displayed. Two new functions were added to display tools, "Image layout tool" (Red frame left)and "JPEG layout tool"(Red frame right). The problem when AtoZ files saved on Windows XP or Vista could not be read on new Mac OS 10.5 was solved. The users who use mixed environment of Mac OS 10.5, Windows XP and Vista need ver.10 update. Quick Ceph data now can be imported! This feature is available only in Macintosh version of the program. 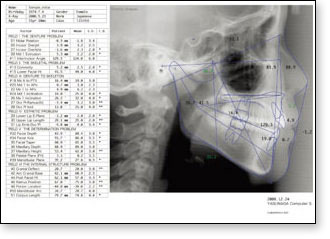 Only images and lateral trace can be read. 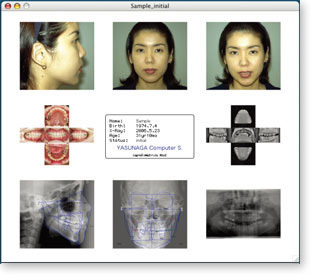 • As for a X-ray image and lateral trace, image size and position do not match even if when QuickCeph data are opened. 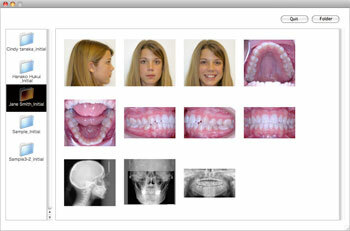 An image resolution will be found automatically after inputting S-N of an X-ray image. • The QC data of soft and hard tissue lines are not converted automatically and should be inputted manually. The following new format was added to view layout. 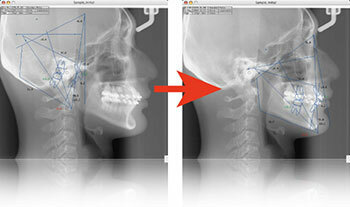 Now you can switch between A4 vertical and horizontal print for the trace of the patient window and X-ray image. Due to a large number of positions in output samples from abroad, we added a wide print option. Due to a difference in OS environments, Quick Ceph data can not be read on Macintosh systems with OS newer than 10.4. To open Quick Ceph data, the classic environment of Mac OS 10.3 and later should be used.